I mostly write about mobile tech and sometimes about audio tech, but I love kitchen gadgets too. I raved about some seriously cool espresso machines sometime ago. And this post is about my new favorite kitchen gadget - the Philips Juicer HR 1858/90. This machine is a serious juice monster with a 650W motor, a giant sized mouth that takes whole fruit (or at least fruit halves) and juices up anything you throw at it including carrots and beetroot, in a few seconds flat. Strongly recommended if you are a juice geek and especially if you love vegetable juice. 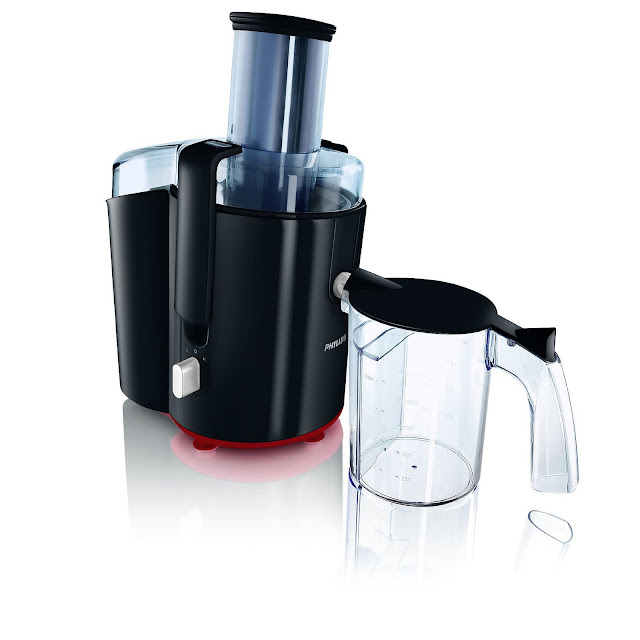 I have wanted to buy this juicer for sometime, but hesitated because of the steep asking price in India (Rs.6500 at Croma). Last month, I was inspired to pick it up, as the summer heat became relentless, and my desire for a daily dose of juice increased. This is off topic, but it is nearly impossible to get a vegetable juice on Mumbai streets, while it's fairly easy to get one in certain localities of Delhi. And they are yummy vegetable juices with beetroot, carrot, mint, ginger etc. that really taste good, especially in the heat furnace that Delhi becomes in summer! Back to the topic. I did a comparison with other juicers available at Croma, but frankly, this one is head and shoulders over the rest. The only one that merits comparison is Croma's own juicer which is a copy cat design, not of this juicer, but an earlier model, the Philips HR 1861. 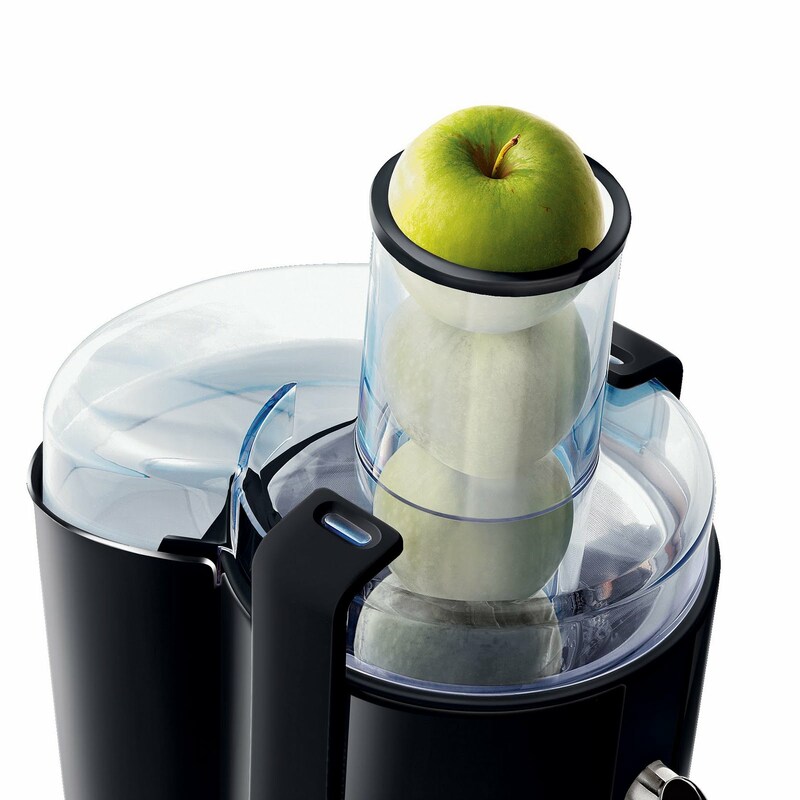 Croma's juicer has a stainless steel body, a 700W motor and a slightly larger mouth, but costs Rs.2500 less than Philips. It's a much better bargain for the same features. I bought the HR 1858, frankly, out of nostalgia, because I think Philips' makes great products (except in sound/ music) and I love the design, finish and quality of the stuff they make. 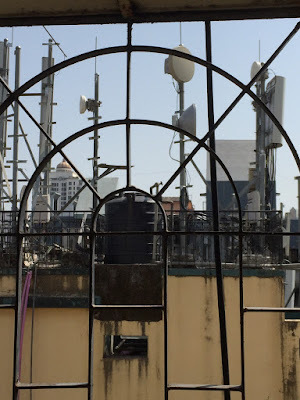 In this case, I loved the quality of the filter mesh/ blades which is the heart of the device. It simply looked better quality than those in the other juicers I looked at. 1) Big mouth : this makes a big difference as you can literally toss in the fruit or veg. without cutting it too fine. I drop in whole tomatoes by the dozen, small beetroots and whole carrots, watermelon slices etc. and it takes them all in. 2) High centrifugal force : The motor rating of 650W in itself does not make sense - it is the high motor speed that makes the juicer desirable. This juicer operates on centrifugal action where the sheer speed of spinning causes the pulp to be thrown in one direction, while juice oozes through the filter in the other direction. It is this speed and effective centrifugal force, that gives me juice within seconds, and squeezes more out of the pulp. Just operating the juicer is a kick! 3) Easy to clean : all the part detach easily and clean well, and this is a make or break quality of a juicer. If it's a pain to clean, you simply will avoid using it. Ask me, I have enough gadgets sitting on my kitchen shelf for years. I enjoy using this juicer regularly, but I must warn you, it will not work for pulps/ milkshakes (your blender will handle those) and it will not work for oranges either, unless you are prepared to peel them. If you prefer orange juice to any other, you can save Rs.5000 and buy yourself a regular citrus juice extractor. Incidentally, from a health angle, the juicer gives two outputs - the juice itself, and the pulp, which is a fantastic base for soup stocks or even cutlets. If you want, you can also make it into face packs! Have you tried ginger in this. I mean not plain ginger but ginger with some other vegetable? Please let me know.